A new home is just about the biggest purchase most of us will ever make. Incorporating some smart energy-efficient technologies into that home is a great, ecologically responsible way to recoup at least a little bit of that huge pile of money over the years. If you live in an older home, the prospect of retrofitting it to be more energy efficient might send cold shivers down your spine—even chillier than that bracing breeze leaking in through your improperly sealed window. There are definitely steps you can take to get an older house into better shape, but you have more options and greater control over energy-efficient features in a new home, your next home. In the interest of planning ahead, here are some energy-saving must-haves to consider when you’re building your next home. Sure, old wood windows add a lot of charm to a home, but they’re also likely to add a lot of cost to your heating bill because they don’t incorporate any of the energy-saving features of today’s products. 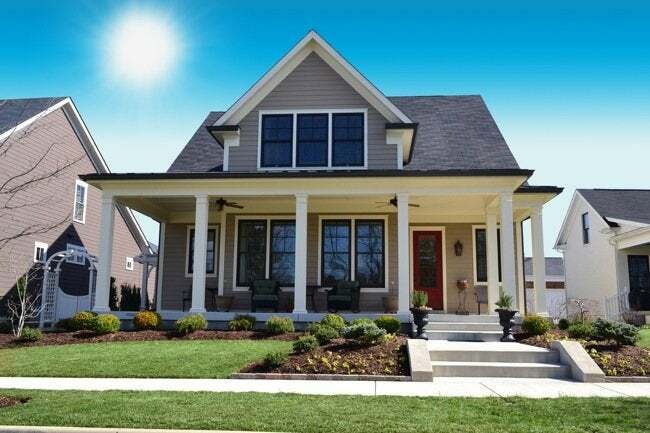 In fact, one of the single best ways to make a home energy efficient is to install good-quality windows. The U.S. government’s Energy Star program rates windows using data provided by the National Fenestration Rating Council, so look for the Energy Star label when choosing your new windows. Also, the Efficient Windows Collaborative provides a handy tool to help you pick out the right windows for the part of the country in which you live. In general, you’ll want double- or triple-paned windows with Low-E glass, filled with argon gas. The idea of keeping a big barrel of water hot all day just so it’s there when you need it seems kind of old-fashioned, doesn’t it? But that’s exactly what most water heaters across America do. A more efficient option is to go with a tankless water heater, which fires up only when water passes through it. This means there’s no standby heat loss and the heater never runs out of hot water like its bigger, bloated cousins. Not only can tankless water heaters save you money on your heating bill, but many come with a federal tax rebate of $300. Tankless water heaters can be run off your electrical service or via gas or propane, but be aware that the latter kind might need special venting while the former might need an extra circuit—both good things to know as you’re building your new home. Not only does radiant floor heating feel more comfortable, it’s more efficient as well. That’s because unlike “spot” heating solutions, like radiators or forced-air vents in the floor and ceiling, this type of heating provides an all-over warmth that not only keeps the air toasty, but also keeps other objects in the room warm so that they don’t rob heat. One of the most efficient radiant floor heating systems on the market is Warmboard. Unlike their competitors, Warmboard uses conductive heating panels that transfer more heat from your boiler to your home. In fact, their panels are two-and-a-half times more conductive than any other form of radiant heat, making them a smart energy choice for heating. 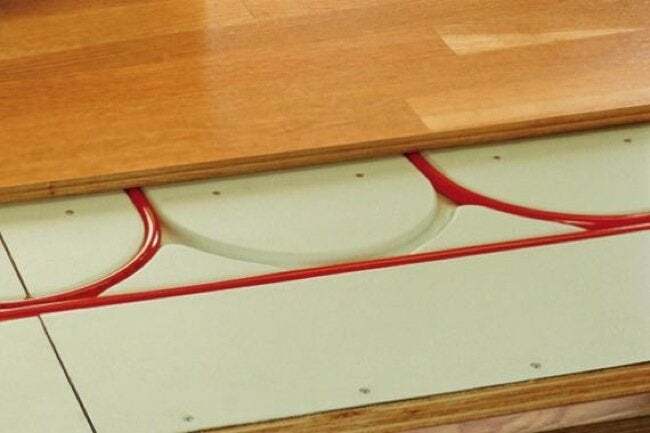 And, the new Total Warmth System from Warmboard makes installation—and cost—even more manageable for homeowners looking for a radiant floor solution. The Total Warmth System is designed with energy efficiency in mind. It’s a complete package that includes a heater, super-efficient floor panels with superior conductivity, and thermostats for zoned heating. If you’re building a new home from scratch, one of the most efficient ways to keep it warm is to use insulated concrete forms, which essentially incorporate the insulation directly into the structure of the house. If you’re purchasing an existing structure that has shoddy insulation, you can beef it up with spray foam, loose fill cellulose, or fiberglass—all good options. Insulation is rated in terms of its R-value, a measure of its thermal resistance; the higher the number, the greater the insulation’s effectiveness, so be sure to compare R-values when you’re choosing insulation. Energy Star offers this useful chart to help you determine how much insulation you need to add to an existing building. Replacing your bulbs with compact fluorescents is a good way to save energy, but do you want to know an even better way? Don’t use light bulbs at all! That’s the benefit that comes from installing high-quality skylights in your home. 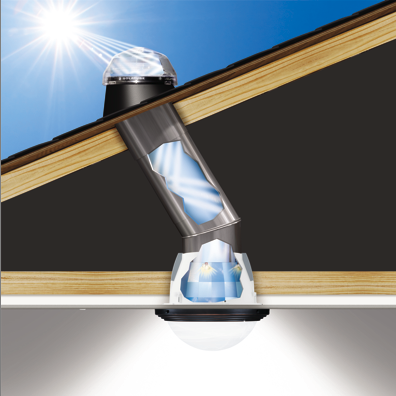 By using skylights or solar tubes, you can bring illumination to even the darkest parts of your home and decrease your reliance on electricity to light your way. Skylights can also lower your heating costs by bringing the warmth of the sun in throughout the colder months. If you install operable skylights, you can even lower cooling costs by allowing hot air to escape in the summer. To maximize a skylight’s heating benefits, it’s important that it be installed at the proper slope. According to Energy.gov, a skylight’s slope should be “equal to your geographical latitude plus 5 to 15 degrees. For example, the optimum slope for a south-facing skylight in Columbus, Ohio, at 40 degrees north latitude, is 45 degrees to 55 degrees.” If you place your skylight on too shallow an angle, you’ll let in too much sun in the warmer months and capture less in the winter.